A day to honor the arrival in Hope Town in the late 1700’s of Wyannie Malone and other Loyalists from the Carolinas. Many of her descendants still live here. 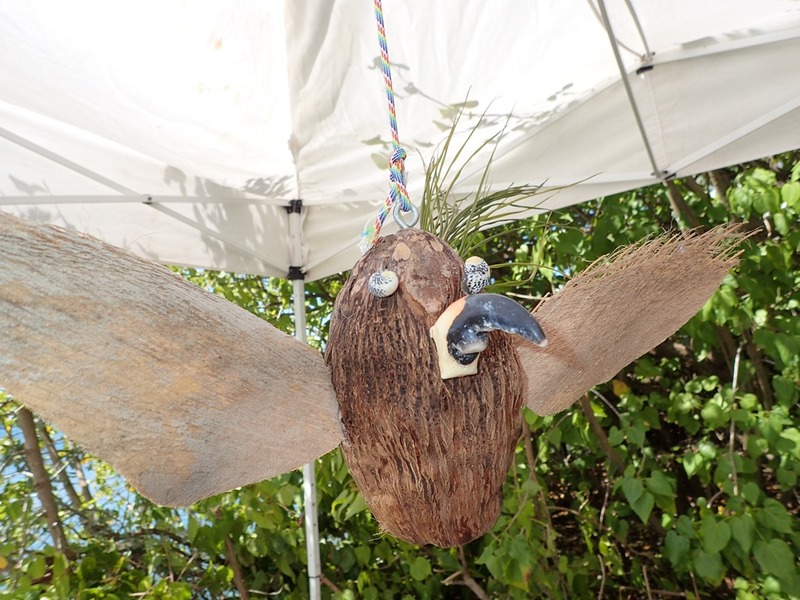 Hope Town’s cottagers, cruisers and tourists celebrated with art, food and crafts. 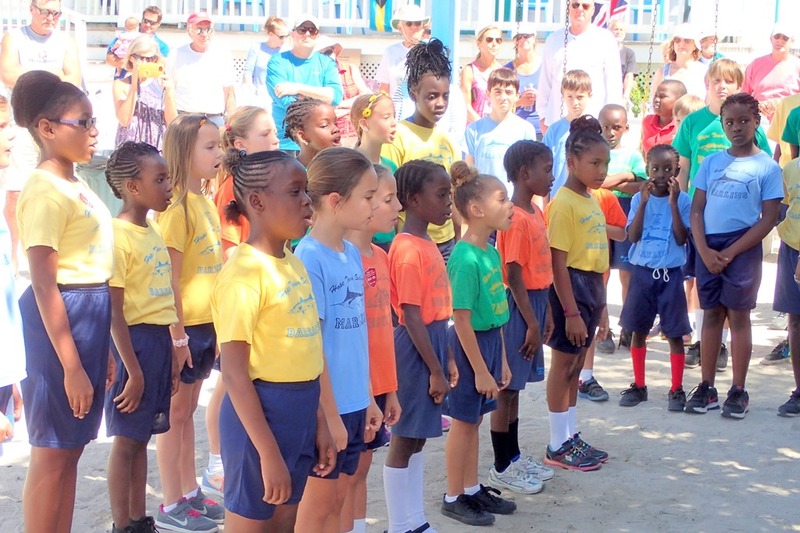 The children of the Hope Town Primary School opened with the Bahamian National Anthem. 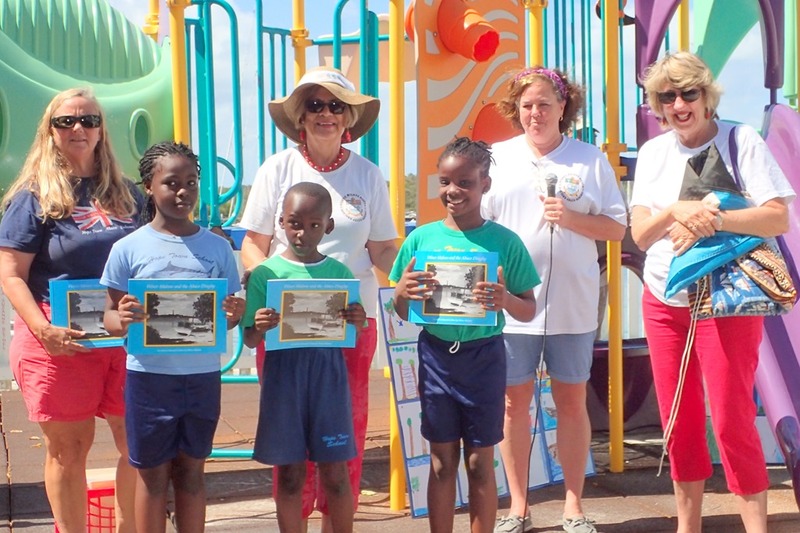 Awards were given for the winners of the essay and art contests – the topic was a letter written home after arriving here by boat with Wyannie Malone. 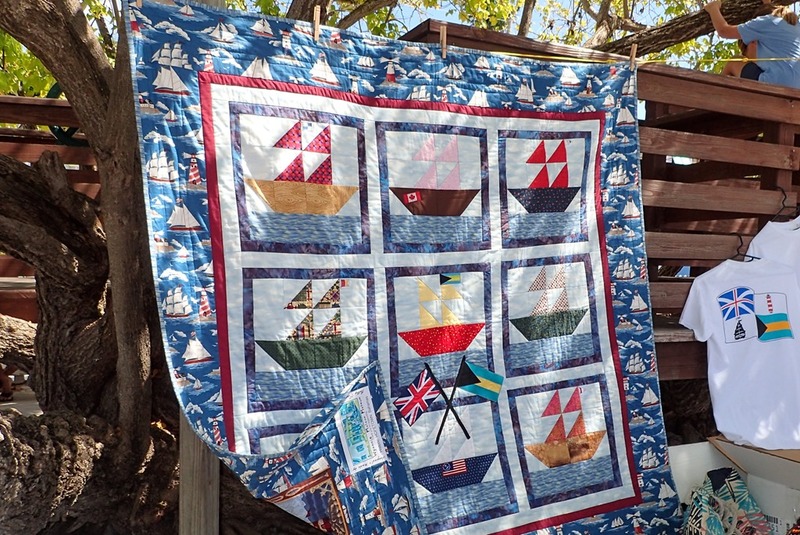 A quilt made especially as a fund-raiser was raffled off, with proceeds to the Wyannie Malone Museum, a wonderful treasure right in downtown Hope Town. 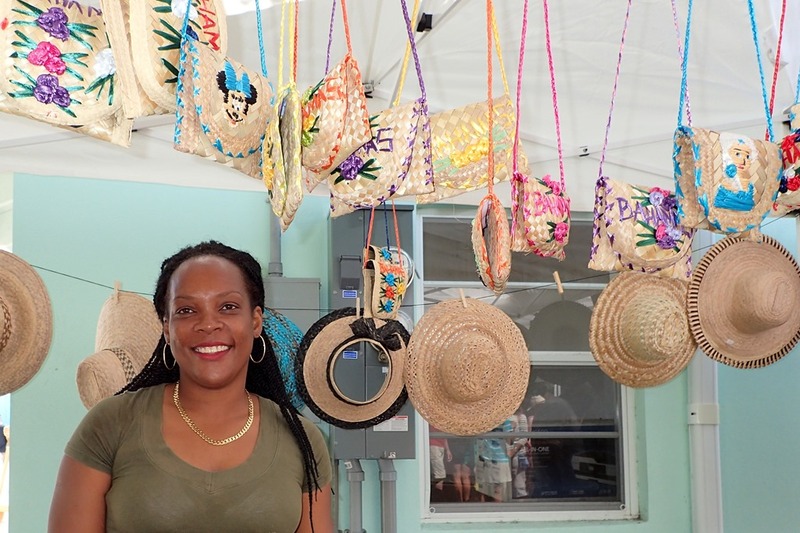 Local artists sold their crafts. Bahamian (chicken souse, conch salad and mac n’ cheese) and American cuisine (hot dogs) was available, along with scrumptious baked goods. 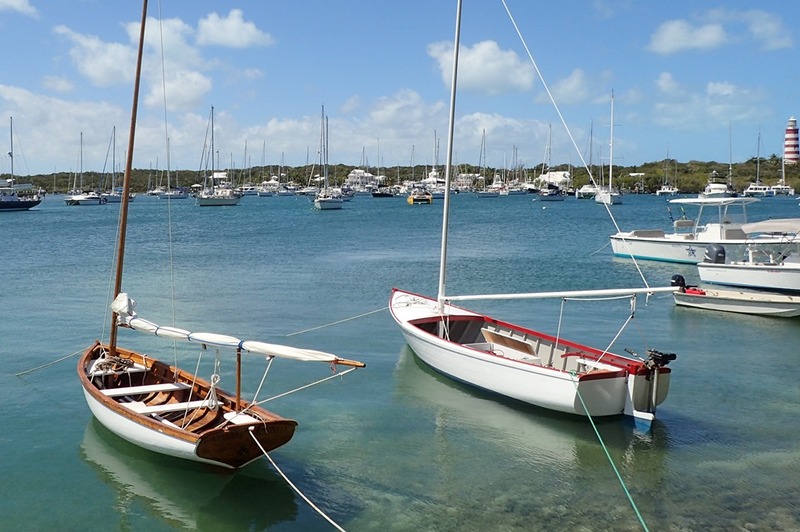 Historic Abaco dinghies were displayed. They were once a primary means of travel here in the islands. Many sailors are now working to restore them. 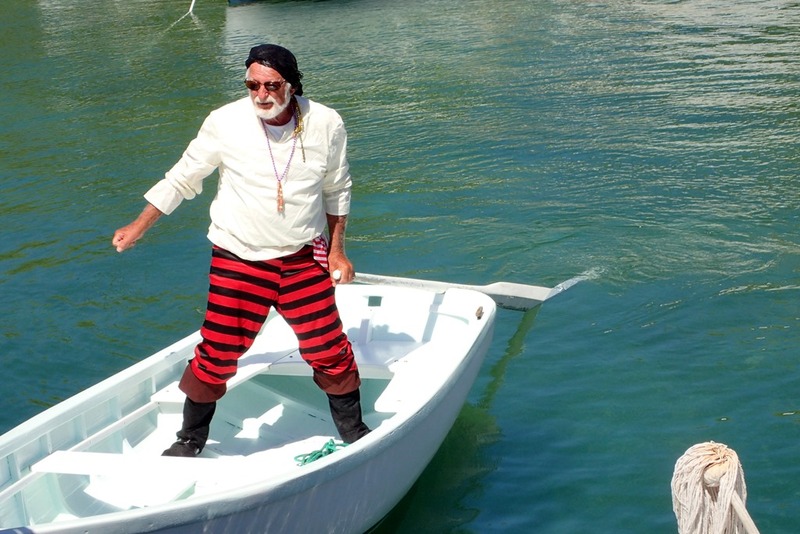 Here’s a pirate learning to scull – a popular method of transportation when the wind dies. It requires strength and dexterity to move the oar behind the boat with just the right motions to power the boat forward. 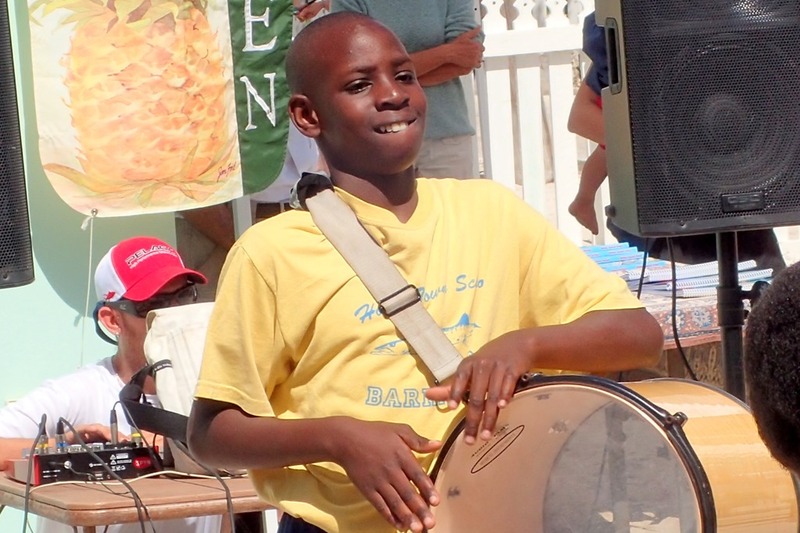 A fun day here in Abaco. I love sculling. Everyone should learn. It’s like magic once you get the motion right. Used to do it on my father’s dingy, which had a U shaped cutout in the transom. I don’t see a cutout on Goldie’s photo, so I’m wondering how he did it. Yes, there is a cutout on the starboard side. I should have taken a close-up of it. It takes time and practice to learn to skull – we were just starting.